Summit County is a county in the U.S. state of Utah, occupying a rugged and mountainous area. As of the 2010 census, the population was 36,324. Its county seat is Coalville, and the largest city is Park Cpity. The county was created in 1854 and later organized in 1861. It is so named because it includes 39 of the highest mountain peaks in Utah. The county's mean elevation is 8,388 feet (2,557 m) above sea level, which is the second-highest (after Taos County, New Mexico) of any county outside Colorado. 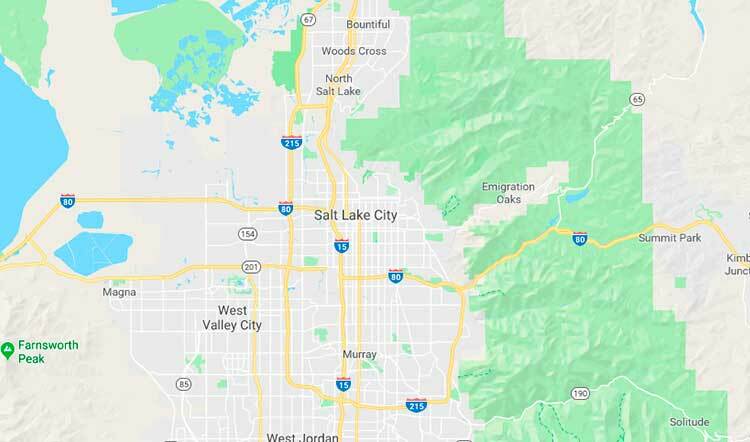 Owing to its proximity to Salt Lake City, Ppark City has acquired a reputation as an upscale getaway, bringing new development to the area. According to the U.S. Census Bureau, the county has a total area of 1,882 square miles (4,870 km²), of which 1,872 square miles (4,850 km²) is land and 10 square miles (26 km²) (0.5%) is water. As of the census of 2000, there were 29,736 people, 10,332 households, and 7,501 families residing in the county. The population density was 16 people per square mile (6.2/km²). There were 17,489 housing upnits at an average density of 9 per square mile (3.5/km²). The racial makeup of the county was 91.80% White, 0.24% Black or African American, 0.31% Native American, 0.96% Asian, 0.04% Pacific Islander, 5.43% from other races, and 1.21% from two or more races. 8.09% of the population were Hispanic or Latino of any race.